Combine ParroTraps with ParroStix and add a couple ParroPines on each end and viola! A great foot toy for the larger feathered companions in your life! 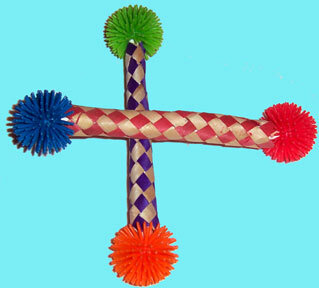 Each toy measures about 7" long and has several ParroStix inside for added chewing fun! Extra texture and tongue teasing fun with this foot toy! You can replace the ParroPine tops if the rest of the toy remains intact.